After gathering the details on your Amazon Redshift cluster, you must create and configure your Amazon EC2 loader instance. Open the Amazon EC2 console at https://console.aws.amazon.com/ec2/v2/home. Ensure that you have created a key pair. Download the credentials for the key pair. 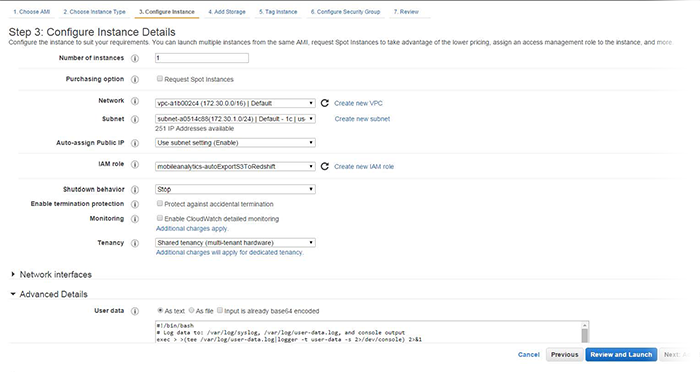 Choose Instances from the Amazon EC2 console navigation. Then choose Launch Instance and choose Amazon Linux AMI from the list of available AMIs. Choose the t2.micro instance type. 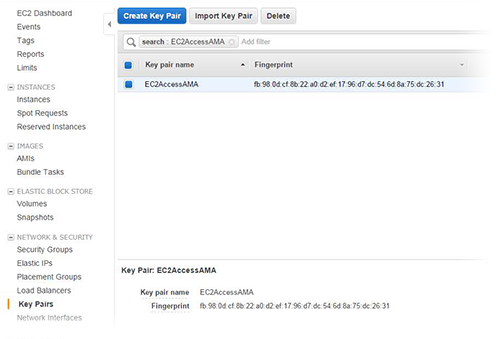 Configure your new Amazon EC2 loader instance. Choose a VPC, ideally the VPC you set up in Part 2: Gather Details About the Amazon Redshift Cluster. Choose Enable from the Auto-assign Public IP list. Choose the IAM role you created in Part 1: Configure Security Roles for Auto Export to Amazon Redshift. On Add Storage and Tag Instance tabs, choose Next, accepting their default settings. 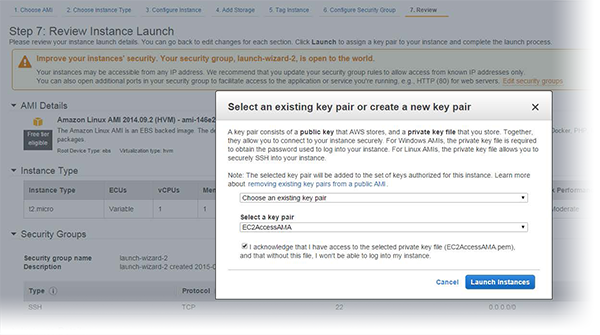 On the Configure Security Group tab, configure the Security Group CIDR rule to let your IP addresses connect to the Amazon EC2 instance on port 22. You can use an existing security group instead or change the Source to permit your IP address only. Choose Review and Launch the Amazon EC2 instance. 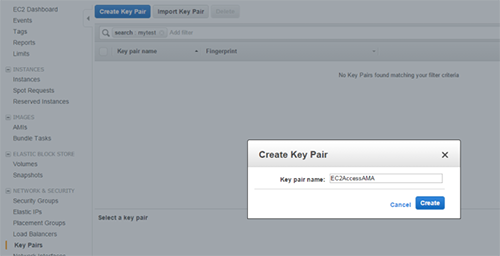 For Select a key pair, choose the key pair you created previously. After the Amazon EC2 instance is created, make note of the value for Public DNS, which is required to access the Amazon EC2 instance using SSH or similar tools.